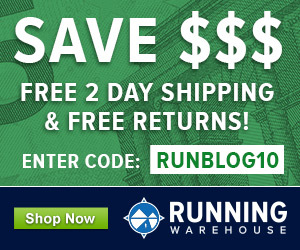 Intro from Pete: Jon Gugala contacted me a few weeks ago asking if I had any interest publishing a few posts on vintage running shoes. Jon is a freelance journalist, a collector of old/vintage running shoes, and clearly a much more fashion-conscious guy than I am. After first reading the article below, I realized that I’m guilty of nearly every fashion faux-pas that Jon points out. I’m OK with that, my days of needing to look fashionable are long gone (with three kids, the phrase “social event” has little meaning to me these days!). That being said, I must admit to being a bit intrigued by the idea of getting a pair of vintage shoes, and I’ve been noticing them more and more on the feet of people just a bit younger than me (well, maybe 10+ years younger). You won’t find me in skinny jeans anytime soon, but I could see a pair of vintage shoes working their way into my collection…. I was in New York City for a story on the New Jersey-New York Track Club and while riding the subway back from the Armory someone asked me about my shoes. 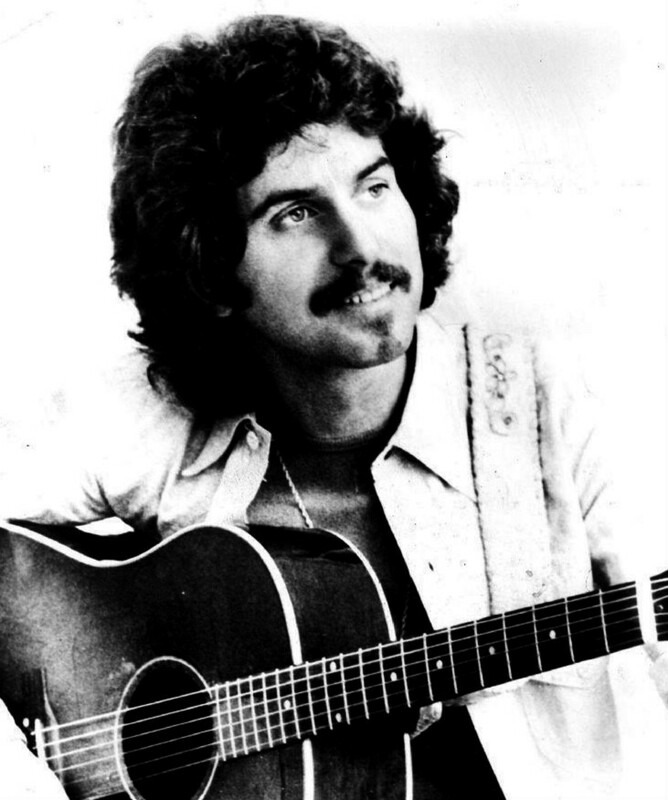 A young guy. Early 20s. Probably not a runner. 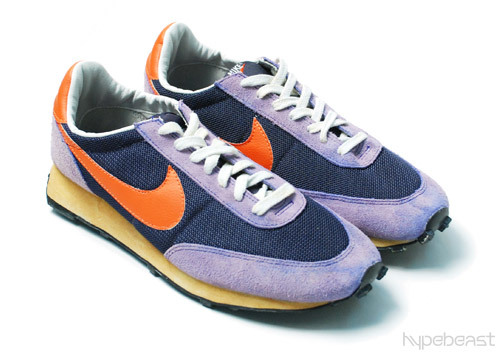 But he was a sneaker-head, and he saw that I was wearing a pair of the old Nike Daybreaks—so sick, if you’ve ever seen them, purple and orange (photo here). Like most guys that collect sneakers, I’d gotten them off eBay or somewhere else online. Young guys like me often do wear old (-looking) shoes, and if you don’t believe that, you must be a runner. Because runners, as a rule, make terrible clothing and footwear choices. Take my good friend Pat. Pat is a 2:13 marathoner, a Mizuno-sponsored athlete, and the owner of a perfect set of abs, yet he only switched to slim-leg jeans (direct from wide-leg jeans, completely skipping over the bootcut phase) under intense pressure from several women in his life. Pat is a fantastic runner with an amazing body and terrible fashion sense. He is probably very much like you. It is not uncommon for him to go to a party in running shoes. This must end for him, and you must stop doing this too. Runners: No one is going to question the veracity of your PRs during a night on the town just because you’re not wearing split shorts. Save the trainers for the roads, and for God’s sake, wear vintage running shoes. You finally have options. Brooks Running is giving you options. They’ve got more cutting-edge running shoes than I care to count (many of which I’m sure have violated social events), but only recently have they entered the vintage running shoe game. Hallelujah. The Brooks Heritage Footwear Collection dropped this March to celebrate their 100-year anniversary, and the Brooks Vanguard is a fitting name for one of two shoes that could very well change your ability to get a date. 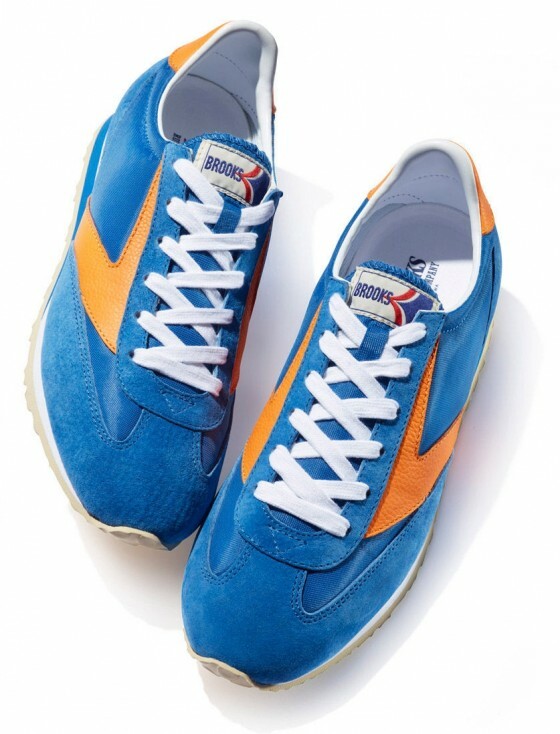 The Vanguard is, in a sense, the same classic shoe it was in 1976, down to stitch-for-stitch detail. Shane Downey, the Heritage Business Manager, used the same sheet EVA for the midsole cushion like the ‘70s original, and he took pains to meticulously recreate the Octopi outsole, a suction cup pattern underneath. But Downey is a craftsman, and he began to tweak subtle details. 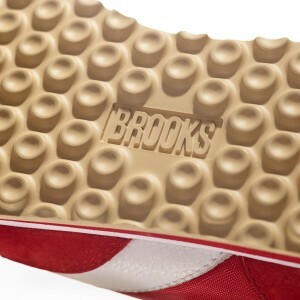 Instead of the gum rubber of the original outsole, he swapped it for a softer sponge rubber for all-day comfort. He used durable pigskin suede for the classic “t” toecap over a new ripstop nylon mesh. A pebbled leather Brooks Chevron and heel tab are a small hat-tip to those that love quiet accents. Running is a lifestyle, sure, but you don’t have to be ready to run at a moment’s notice. You’re not fighting crime. Leave your trainers by the door when you go out for the night, and if you must be connected to running, wear a vintage shoe. Maybe wear a Brooks. “We want to give you a shoe to wear the other 22 hours of a day,” Downey says, which is echoed by everyone else in your life that has seen your terrible taste in footwear. This is the first post in a two-part series – read about the Brooks Vantage here. The Vanguard comes in medium and wide widths (widths in select colors), with men’s sizes 7-13 and women’s sizes 6-11 available. There are four colorways for men and three for women. Fit them a half-size shorter than your current running shoe. Find the Brooks Heritage Collection Vantage at your local running specialty store or online at City Sports or at BrooksRunning.com. 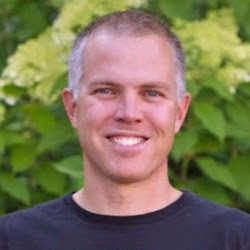 Jon Gugala is a freelance writer based in Nashville. His writing has appeared in Runner's World, Running Times, Competitor Magazine, and elsewhere. He prefers short shorts. The really funny part is that these shoes didn’t even look good when they were new. Anyone with good sense could see that even in the 70’s, you looked stupid wearing a pair of dark blue Converse running shoes with your jeans. Or how about with a pair of shorts, and really long tube socks? Oh yeah! Shoes like this look slightly better now, only because young, hipster-y kind of people wear them, so they must be cool, right? The kind of guys I remember most often wearing these shoes back in the day were the early-adopters who liked to program on TRS-80’s and early Apples and Ataris. But hey, I guess a lot of those guys are rich today. I bet Bill Gates dug these kind of shoes. I wander what the ramp delta is….anyone know? I understand this is all subjective but these are probably the ugliest vintage running shoes that have ever been retroed. The Saucony Jazz, New Balance 574, Nike Pegasus and Nike Internationalist are just a few of the better choices out there. I’d choose some Reebok’s over these. These are excellent shoes, with more great offerings to follow. One of the great things about Shane’s work with these is the attention tho detail. The old-school boxes and the hang-tags are all part of the package, and are great small touches that make the collection stand out. Wander what the ramp delta is…again….Pete help me out here! No idea, don’t have this shoe. Cool post! I have a pair of these and love them. They’re so comfortable and good looking to wear all the time. I’m a fan.